When it came to carpeting some questions needed to be answered: which carpet, which glue, how thick is the carpet, how to apply, additional securing? 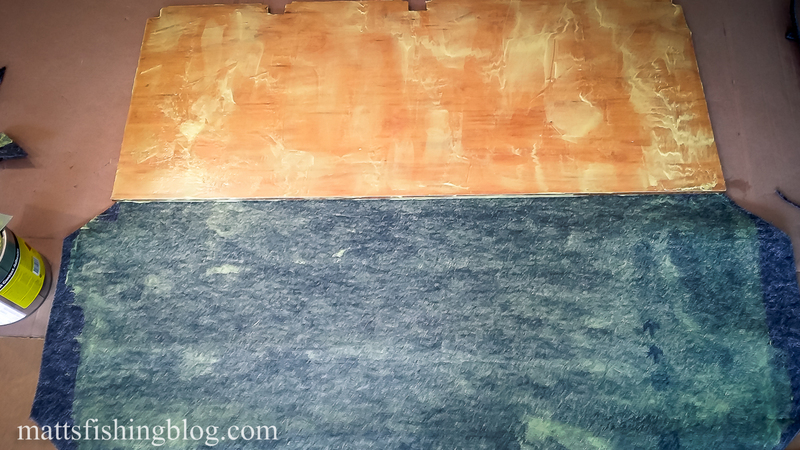 Before cutting the ply for the floor I had to work out how thick the carpet was going to be. This was so I could ensure I left the correct gap for the carpet when installing the flooring. I had a lot of problems finding an accurate answer to this on the internet so I set about working it out myself. The carpet was thinker than I thought. 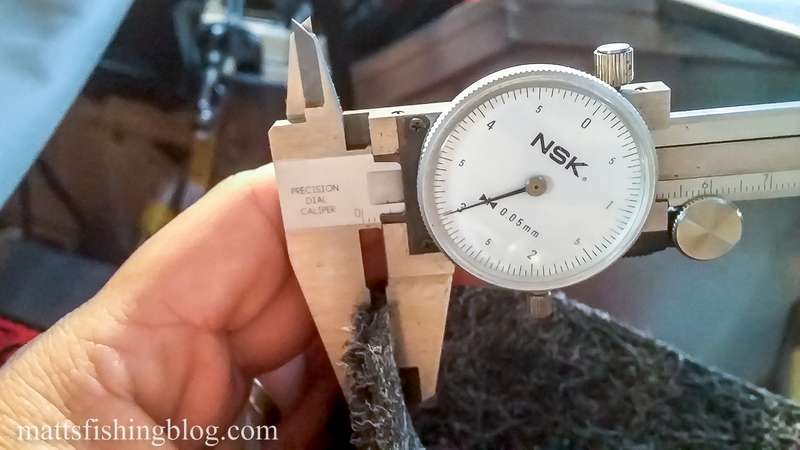 I measured it with measuring callipers which came out at 3mm, however, this was the compressed value and this did not account for the extra thickness from the bend around the edges and the natural non compressed shape. average I aimed for 4.5mm. On average a piece of flooring would be 9mm wider after carpet was applied (wrapped around both ends. So if two pieces were butted against each other (carpet to carpet) the gap was 18mm as each piece had carpet on each side (4.5mm x 4 sides). This resulted in a tight fit that needed to be tapped into place quite firmly, but had a really snug great looking fit. 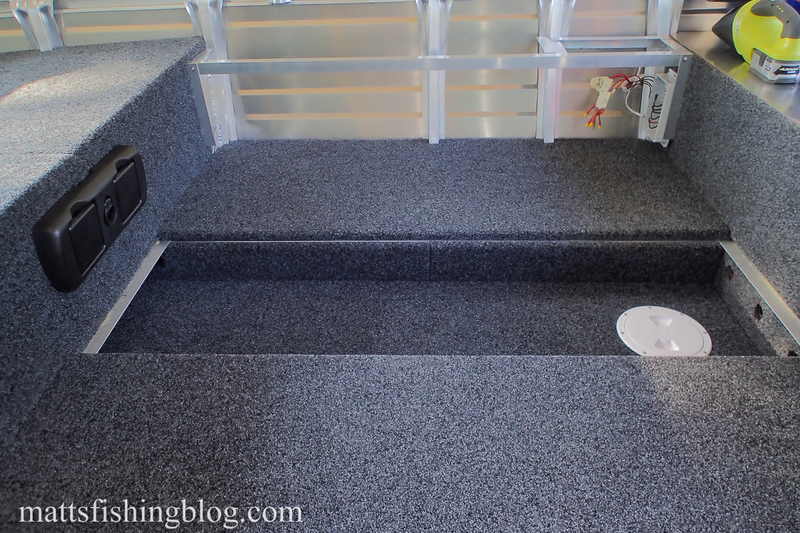 The carpet I went with is a standard marine carpet from Whitworths called Autex Seatread Marine Carpet Tornado (Charcoal). This is a really nice dark charcoal colour that looks really great. The securing method I used was a combination of glue and stainless steel (SS) staples. 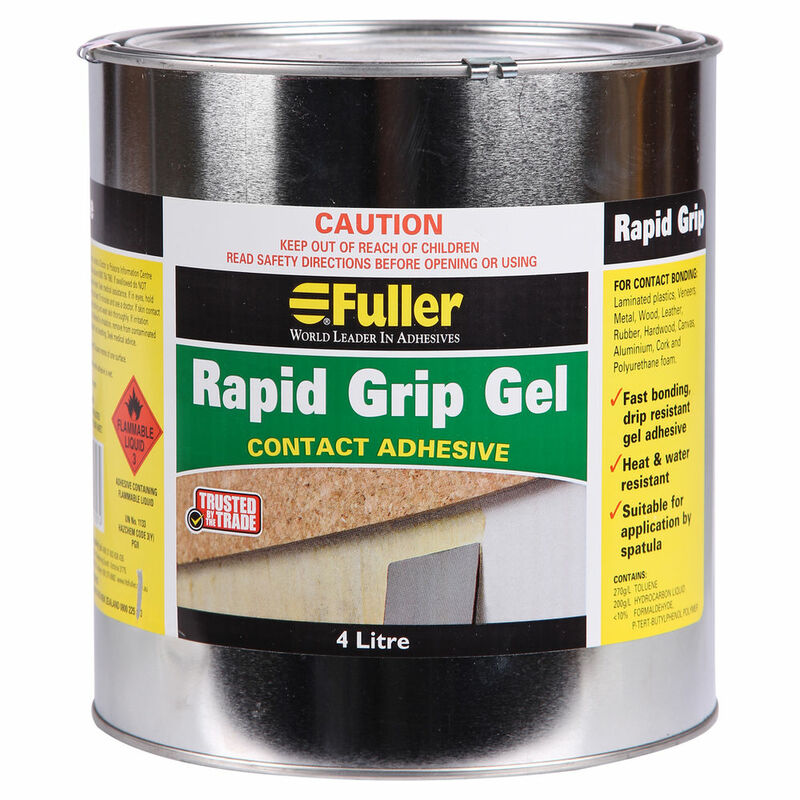 When it came to the glue I tried three types: Selleys Kwik Grip Horizontal, Selleys Kwik Grip Gel (vertical) and Fuller Rapid Grip Gel Contact Adhesive. The best product by far was the Fuller Gel. It was easy to use and the 4L tin was about $40 cheaper than the Selleys product. The SS staples were applied with a standard T50 size hand held staple gun. SS staples are really hard to find in the T50 size. Whitworths stock SS staples but these are T80 size which are only compatible with a pneumatically driven industrial size staple gun. I looked at all the large hardware shops without success. 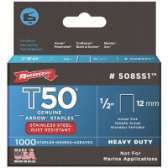 In the end I order two packs of Arrow T50 SS 8MM(5/16) 1000PK staples online from Blackwoods over two separate orders (I ran out of my first 1000 and had to put in a second order). The shipping time on these was between 3 and 5 weeks, the second batch witch took 5 weeks, so get your order in early if you want to use these. Cut the carpet to just larger than required. Staple one edge of the carpet before cutting the carpet to size and shape. This allows a more accurate cutting process that improves the lining up of the carpet in the correct position when gluing. 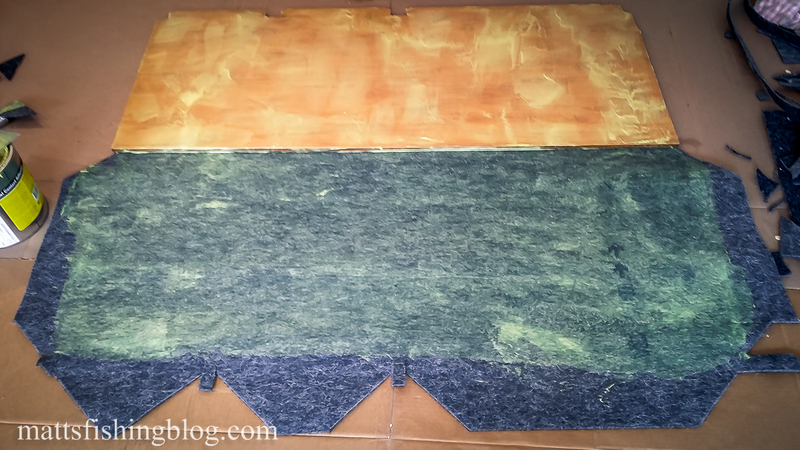 Use the contact bonding method of apply a thin uniform coating of rapid grip gel adhesive over the back of both the carpet and the timber and when both surfaces are touch dry (10 to 30 minutes) carefully roll the carpet onto the timber, firmly smoothing it down as you go from the stapled end out. Roll the carpet over the edges and staple in place. 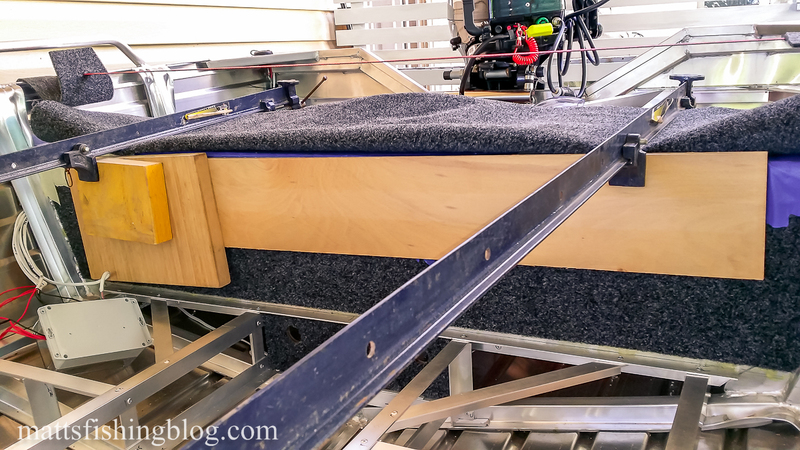 Place the carpeted timber carpet side down on a flat hard floor and place weights on the timber for 24hrs. This method worked really well. I had one of my first pieces fail with the Selleys glue because I lay the timber on cardboard without weighting. 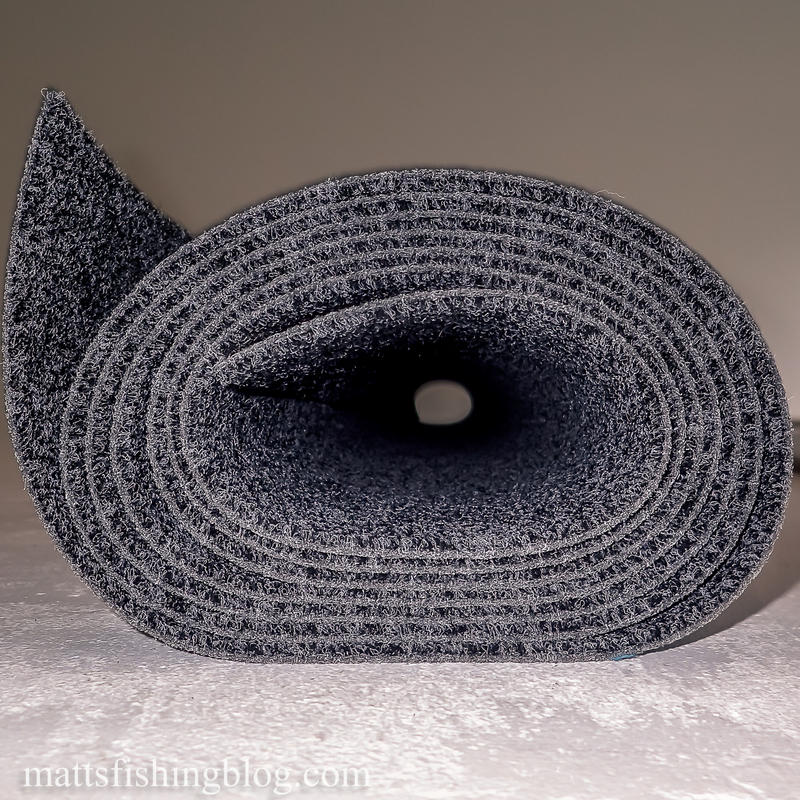 It worked perfectly every time when left carpet down and weighted onto a flat hard floor. 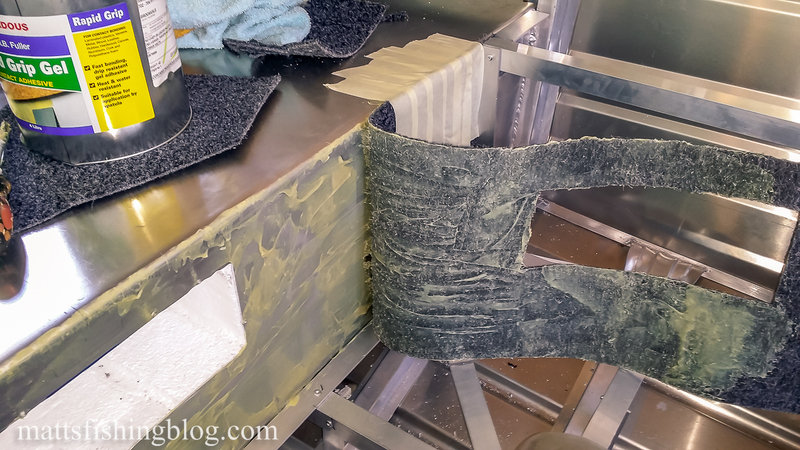 I also used the contact method to glue carpet straight onto the sides of the aluminium seats which also worked really well. Overall the process took a long time and was fiddly in sections but the result is awesome!